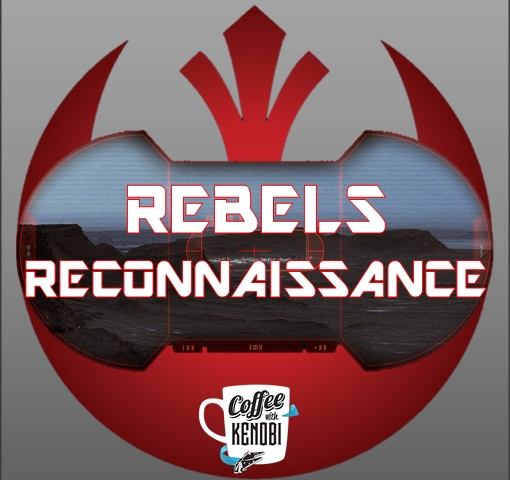 While l enjoyed last week’s episode of Star Wars Rebels, “Steps into Shadow,” with its far-reaching implications concerning the greater Star Wars universe, somehow this week’s entry, “The Holocrons of Fate” managed to surpass it by potentially delving into the destinies of legacy characters. In the interest of full disclosure, Maul is one of my favorite characters, and his inclusion in last season’s two-part finale was one of the reasons I would rank those episodes as some of the series’ best. The sheer magnificence of having Darth Vader on the show cannot be overstated, but the fate of that particular Dark Lord of the Sith has already been well chronicled. But that’s not the case for Maul. He remains a wildcard in the universe as his destiny and lasting impact have yet to be revealed. But Maul’s impact on Ezra is a thing of certainty, and the fallout from their time together on Malachor is felt keenly in “The Holocrons of Fate.” And because Ezra’s full story has not been established yet either, the danger of the Padawan’s turn to the dark side of the Force is palpable and Maul’s assertion to Kanan that the boy is “our apprentice” is more than a simple taunt. There is a real element of truth there. So much so, that Ezra’s trust in Maul extended to the point where he revealed the existence of Kanan’s Jedi holocron–a prize that Maul seeks and plans to combine with the Sith holocron taken from Malachor in hopes of gaining ultimate knowledge. In order to force the hand of the Jedi, he barters the life of the Ghost crew in order to obtain the relics. In “Steps into Shadow,” Kanan left the Sith holocron with Bendu, and so it’s back to Attolon to seek the middle-dwelling Force-wielder. Many theorized that Bendu might be a figment of Kanan’s imagination, but Ezra’s interactions with him in “Holocrons” seem to disprove that. In any case, the Bendu remains mysterious. While he clearly is very knowledgeable about a great many things, his admission that he doesn’t know Maul could mean he’s not omniscient. On the other hand, it may simply be a matter of disinterest for him. Bendu is literally above it all due to his size, and his ability to open the Sith holocron in the previous episode while not exhibiting dark side tendencies suggests that is figuratively above it all as well–perhaps beyond our constructs of good and evil. He is helpful to Kanan and Ezra by showing them where he placed the holocron, but his ambivalence about their safety as they enter the krykna nest indicates a willingness to let them die if it is as the Force wills it. In this regard, he may have much in common with Qui-Gon Jinn (who followed the will of the Living Force as closely as possible) and Chirrut Imwe from Rogue One. In this case, the Force willed that Kanan and Ezra survived, learned to trust each other again, and reconciled their differences. This pleases the Bendu greatly and he sends them on their way to join the holocron a with the advice that, “once a secret is known, it cannot be unknown.” Had he known Maul, he might also have suggested that the former Sith planned to deal with them treacherously at every turn, for only a few minutes after their arrival at Maul’s asteroid outpost (a former Mandalorian base), Maul tries to kill Kanan by sucking him out of an airlock and orders his droids to execute Hera, Zeb, and Sabine shortly after promising Ezra that he planned to release them. In both cases, our heroes survive, but Maul gets what he ultimately wants–a chance to open both holocrons. As Ezra and Maul assume meditative positions across from each other and use the Force to open their respective holocrons as they are bathed in a bright pink light, the desires of each are revealed. Ezra has long sought a way to destroy the Sith, but Maul’s answer is surprising. He is seeking hope but of what is unclear. Revenge? Restoration of his power? Whatever the case, Maul claims to see nothing but oblivion, but as he presses farther, he sees someone for whom he has long sought. Joyfully exclaiming “He lives,” Maul immediately departs the station. One might reasonably guess that Maul saw a vision of Obi-Wan Kenobi as he is still seeking his revenge. But one might also postulate that the reason Maul first saw oblivion is because that is what awaits him should he and Kenobi encounter each other again. My hope is that this is the case and we see it on Rebels. Ezra’s vision is no less powerful as he claims to see “twin suns” as an answer to how to destroy the Sith. Again, one can reasonably assume what this means–he had vision of Tatooine and the holocrons were pointing him toward Luke Skywalker, son of a Sith Lord and the one who ultimately defeats the Sith through the redemption of his father Anakin Skywalker which led to Anakin’s final act against Palpatine. It seems unlikely that we’ll see Luke on Rebels, but just hearing a potential reference to him in this context only serves to solidify his importance to the overall Star Wars saga. The same could be said for Star Wars Rebels which continues to fill in the edges of canon and flesh out the backgrounds of key characters and events. So far this season has set up the possibility of some key confrontations. How they play out will determine whether or not the finale of season 3 can reach the heights of that of season 2.